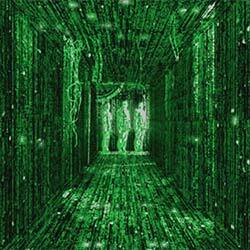 In the movie, The Matrix, people live in a dream world, all while an alien force is harvesting them for energy. If you haven’t seen the movie, I highly recommend you do. This post may contain spoilers, so proceed at your own risk. The same is true for your life, right now. We all live in a dream world, some more consciously than others. We live life through our thoughts and we take it as reality. When a thought pops up that says that you are not good enough to build a lifestyle business, you believe it, and you’re caught in the dream. When an excuse comes up, you believe it, because it’s backed by other thoughts. It’s time to craft the lifestyle of your dreams. When people first discover the world of following your passion, it all seems like a fantasy land made of unicorns and rainbows. But it’s not as easy as you think. It’s not hard either, but it’s challenging, because you have to face your inner demons. When Neo realizes the truth of The Matrix, he doesn’t want to accept it. He’s quite comfortable in his current existence, but then the agents come for him. He has to decide what he wants to do, and he has to decide fast. That’s what most people are facing right now. The “agents” are coming for them. They can no longer wait to follow their passion. It’s time to wake up. You feel the need to start now. There’s a sense of urgency, because deep down you know what you need to be doing, but you’re caught in the dream. It’s up to you whether or not you want to see how far the rabbit hole goes. This is not an easy journey. You have to be determined enough to see it through. But once the seed is planted within you, there’s no turning back. You can’t go back to your ordinary life, because you know that you’re meant to do something else. You feel a calling to do more. You feel the need to share your gifts. Doubts hold you back, but it doesn’t matter, because something keeps nudging you forward. You have to heed the calling. You have to dive in. I’m trying to help you see that you can live the life you want, if you are only willing to see it yourself. I can only show you the door. You are the one that has to walk through it. You are the one who has to take responsibility for your life. Will you heed the call? Or will you wait for a better moment which never comes? There are people out there that depend on what you have to share. They depend on you taking action and leaving your excuses behind. Just like everyone depends on Neo to fight the Matrix, so are there people out there that depend on what you have to say. If you feel inspired to do something, there’s someone else on the other end waiting for it. You have to wake up from the dream. You have to wake up from the doubts your thoughts tell you and take action. You have to dive in and see what happens, because you can’t know what it’s like to unplug from the dream world before you do it. You have been led to believe that something stands in the way of you crafting the lifestyle you want, but there is nothing standing in your way, except what you THINK is possible. 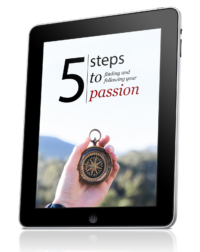 The barrier between you and living a passionate life is just a screen made of thin air. It seems to hold you back, but once you step through it, you see through the illusion you always believed to be true. Just like Neo found Morpheus, or was it Morpheus who found Neo, crafting the lifestyle of your dreams is easier with a mentor. And that’s why I’ve created the Lifestyle Liberation Academy. That’s why I’m doing what I do. I want to help you on your path. But you have to ask yourself if you’re ready to take the first step. Are you ready to face the challenges that await you? Are you ready to step into who you deep down know you really are? Wow… great article, Henri. It’s all about knowing that you are not your thoughts, feelings, and actions… you are far more beyond that and when you’re in that ‘blank’ state, you can use your thoughts, feelings, and actions to your will and advantage. Absolutely. When you can feel it to be true, even a glimpse, things change. And if not, just keep moving forward. Love the analogy all the way through … loved the move/trilogy as well. OK, I’m a Matrix fan! It all makes sense ..but choice is absolutely necessary; some tough ones too. I’m already in the hole …! It’s an empowering message we are in control, and in our own way, and we have only to realize it to remedy so much of our blocks. Yes, it’s fascinating how we are in control, yet we aren’t, depending on how you look at things. Fantastic article Henri, it so resonated with me. I stepped into the rabbit hole a couple of years ago. I’m at the point where I can’t go back but not yet at the point where I know what my new life is (I sort of know)…so I’ve taken the red pill and am still in transition but it’s been a pretty wicked roller coaster ride so far! I’m definitely sharing this article with my others – thanks for your inspiration! It’s definitely a tough place to be (that limbo place). But you’ll get out of it. It’s kind of like walking in a fog. You don’t see more until you move forward. Coincidences, coincidences and more coincidences. I like it.